This exhibition presented ten buildings from around the world exemplifying architectural innovations catalyzed by divergent approaches to sustainability. 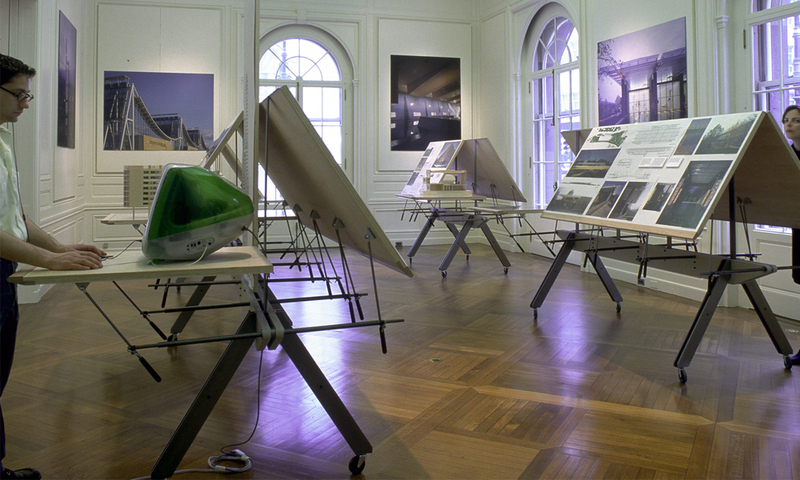 Each building was exhibited on a separate mobile table. The tables were composed of six, eight or ten 3' x 2' plywood modules. Custom hardware allowed for adjustment to any position between the horizontal and vertical in order to accommodate a variety of materials or equipment - models, drawings, photographs, and computers. As a traveling exhibition, the modular components can be dismantled with minimum labor and the tables can be reconfigured according to the particular spatial restrictions of the respective exhibition venues. The exhibition's adaptability is its sustainability.